WubbaNub Baby Yellow Duck has tons of love in every Wub! 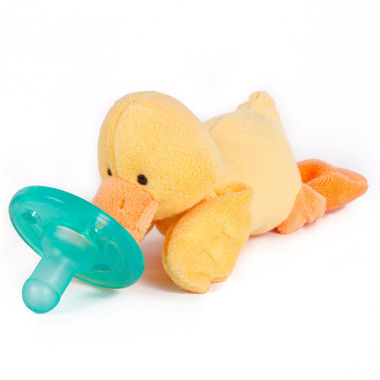 Wubbanub pacifiers are easier to hold on to and harder to lose. The carefully calculated weight and size of each stuffed friend keeps the pacifier positioned close to even the fussiest baby’s mouth.